Cavender estate agent has a clear focus on delivering a comprehensive service that is above and beyond that being provided by other agents in the local area. Our many combined years of experience of working in the property industry in this area, together with our dedication to excellent customer service has ensured that we have become one of the most recognised agents in the area. Our lettings department has a reputation for finding excellent quality tenants within a timeframe that suits our landlords’ requirements. 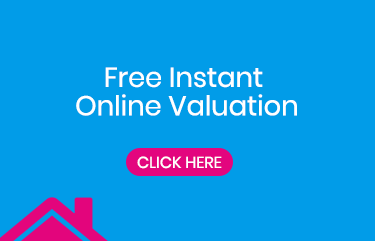 By combining our strong presence on Rightmove, Zoopla, On The Market and Prime location and advertising in local media outlets, we are able to capture a large share of applicants. By proactively managing these applicants on a daily basis, we are able to effectively match properties to suitable tenants very quickly. We have also developed strong relationships with several relocation companies who have made us their agent of choice when they are relocating their corporate clients. Our decision to keep all accounts, administration and property management activities locally and in-house allows us to provide a smooth and efficient service from the moment we are instructed to market a property, through to dealing with the deposit return at the end of the tenancy. Many estate agents have taken the decision to save costs by centralising their accounts and property management which we feel leads to communication difficulties, service issues and ultimately mistakes for both landlords and tenants. 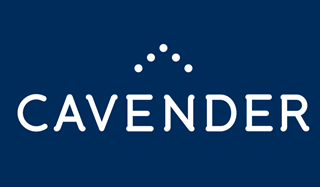 However, Cavender are committed and proud of the quality and efficiency of our localised service. Our sales department provide a fully comprehensive service to cater for all your property needs. Vendors appreciate the clear, honest and concise service we provide them, knowing that our vast experience ensures we will sell their property at the best possible price. All sales progression is carried out in house by a dedicated, senior member of staff. We strongly believe that our service does not end when we agree the sale. In fact, quite often this is when the hard work starts for us. Knowing how and when to pursue conveyancers and other parties, our experience will help see you through from accepting an offer to completing the sale with minimal hassle and fuss. Here at Cavender Estate Agents we are proud of the professional service we provide and demonstrate this by being members of The Property Ombudsman and ARLA propertymark. To be members of The Property Ombudsman we must comply with codes of practice to ensure our customers receive a consistently high standard of service with a recourse to the Ombudsman in the unlikely event that we do not. As ARLA propertymark members, we have the credibility of being part of a respected association. Every year tenants and landlords suffer distress and financial loss through dealing with inexperienced agents. Propertymark members are qualified property professionals who hold client money in designated client accounts which are independently audited every year. Visit the ARLA propertymark website to see how we protect you. We offer a complete and comprehensive range of services that can be tailored precisely for you to ensure we cater for all your individual needs and requirements. Come and speak to us to discuss how we can showcase your property to ensure it receives maximum exposure to the biggest audience, or, how we can help you with your property requirements.